What is Double Drawn Virgin Hair? 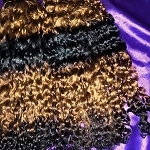 Most hair extensions are sold as single drawn due to the cost of production. Making single drawn hair extensions is more economical for the manufacturer and the customer. Single drawn hair is rarely the same length from top to bottom, thus creating thinner ends at the bottom of the hair extension. This can make the extensions appear to be thin and straggly. In order to even the hair out it must be cut to one even length. Double Drawn hair undergoes an additional process during manufacturing. The shorter hairs are removed by hand. This practice significantly increases the quality of the hair extensions. Double drawn hair is one length from top to bottom. This gives the hair its full appearance. You will pay more for double drawn hair extensions, but the quality,volume, and duration that the hair last will far exceed single drawn hair extensions.